While duck numbers are down in 2018 surveys, most species are above the long-term average, which is good news for Mississippi hunters. The total population was estimated at 41.2 million breeding ducks in traditional survey areas, down from 47.3 million in 2017. However, that’s still 17-percent higher than the long-term average since the mid-1950s. 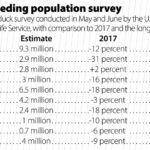 Mallards, the most-important species to hunters, were down 12 percent from 12.9 million a year ago to 11.4 million this year. Of all popular species, only one, the wigeon, showed an increase in 2018. 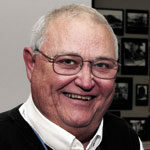 Ducks Unlimited, the private conservation organization devoted to protecting habitat, believes the decrease in ducks is simply explained by the loss of habitat. The total pond estimate for the U.S. and Canada was 5.2 million, down from 6.1 million a year ago and identical to the long-term average of 5.2 million. “The dip in the population for prairie-breeding puddle ducks is not unexpected and by no means unprecedented given that conditions on the prairies this spring were drier than last year,” said Tom Moorman, DU’s chief scientist. “As a result, 2018 populations dropped accordingly. However, populations of all key species, except northern pintails and scaup, remain above long-term averages. 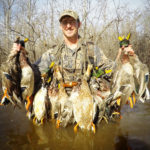 According to USFWS protocol, the total count is still high enough to offer hunters liberal frameworks, which in Mississippi will be a 60-day season divided into three segments with a six-duck daily bag limit. 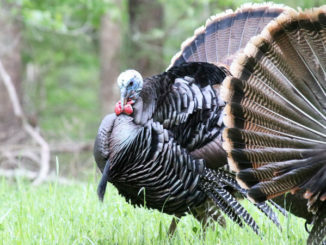 The statewide seasons are Nov. 23-25, Nov. 30-Dec. 2, and Dec. 5-Jan. 27. 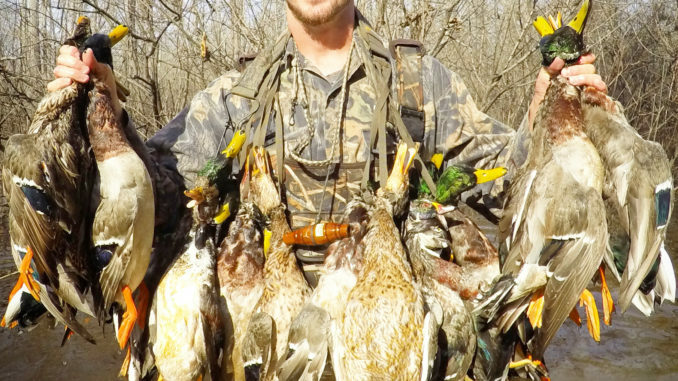 The six-duck daily limit can include no more than four mallards (only two of which may be females), three wood ducks, two redheads, three scaup, two canvasbacks, one mottled duck, two black ducks and two pintails.